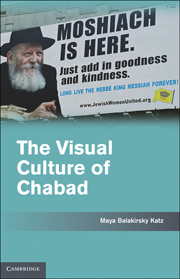 Too often philosemitism, the idealization of Jews and Judaism, has been simplistically misunderstood as merely antisemitism “in sheep’s clothing.” This book takes a different approach, surveying the phenomenon from antiquity to the present and highlighting its rich complexity and broad impact on Western culture. 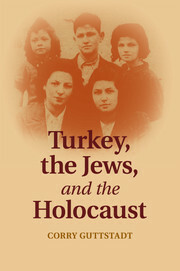 Philosemitism in History includes fourteen essays by specialist historians, anthropologists, literary scholars, and scholars of religion, ranging from medieval philosemitism to such modern and contemporary topics as the African American depictions of Jews as ethnic role models, the Zionism of Christian evangelicals, pro-Jewish educational television in West Germany, and the current fashion for Jewish "kitsch" memorabilia in contemporary East-Central Europe. An extensive introductory chapter offers a thorough and original overview of the topic. 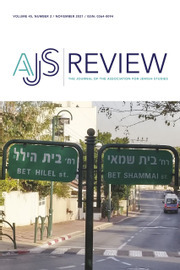 The book underscores both the endurance and the malleability of philosemitism, drawing attention to this important but widely neglected facet of Jewish–non-Jewish relations. 14. 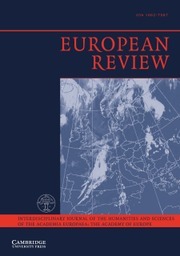 'Non-Jewish, non kosher, yet also recommended': beyond 'virtually Jewish' in post-millenium Central Europe Ruth Ellen Gruber. 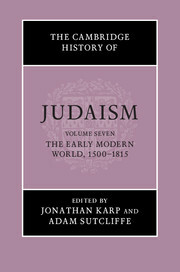 Jonathan Karp is Associate Professor of History and Chair of the Judaic Studies Department at Binghamton University, State University of New York. 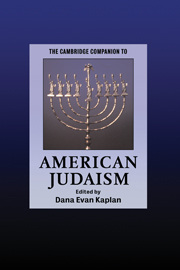 He is the author of The Politics of Jewish Commerce: Economic Thought and Emancipation, 1638–1848 (Cambridge University Press, 2008) and co-editor, with Barbara Kirshenblatt-Gimblett, of The Art of Being Jewish in Modern Times (2007). 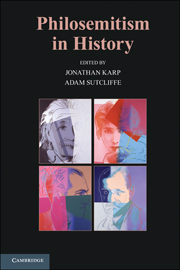 Adam Sutcliffe is Senior Lecturer in European History, Department of History, King's College London. He is the author of Judaism and Enlightenment (Cambridge University Press, 2003) and co-editor, with Ross Brann, of Renewing the Past, Reconfiguring Jewish Culture: From Al-Andalus to the Haskalah (2004).